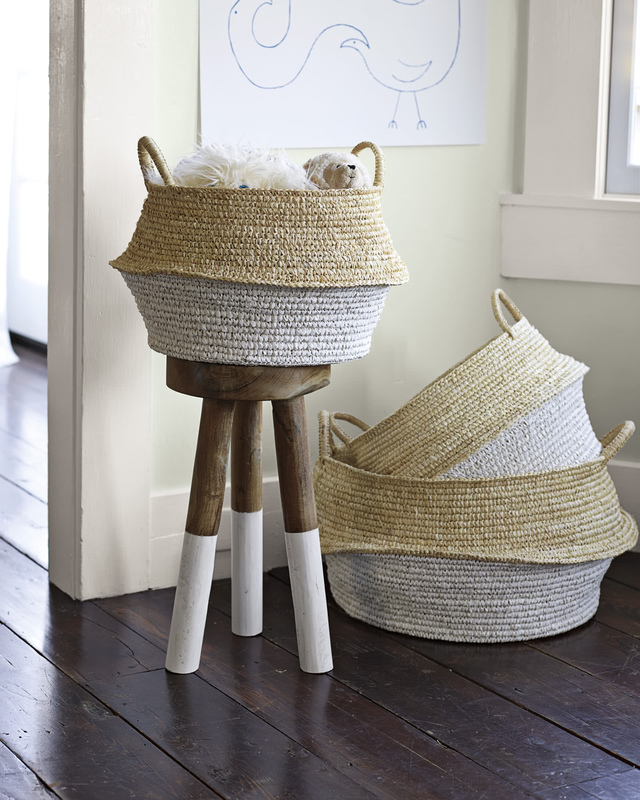 Round Belly BasketRound Belly Basket, White alt="Round Belly Basket, White"
Print The shape of a water vessel from Indonesia inspired these nesting baskets. 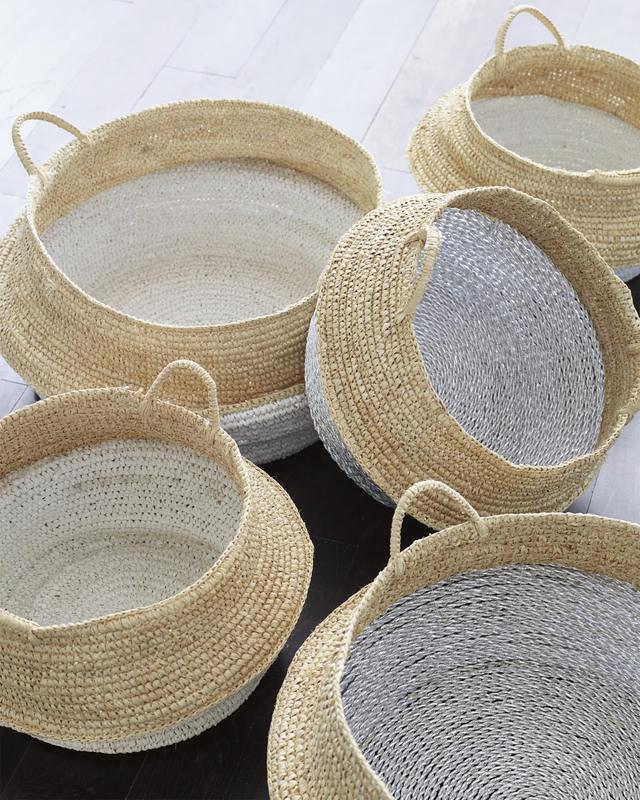 Designed to be unstructured, they conquer clutter with a charming, carefree vibe. 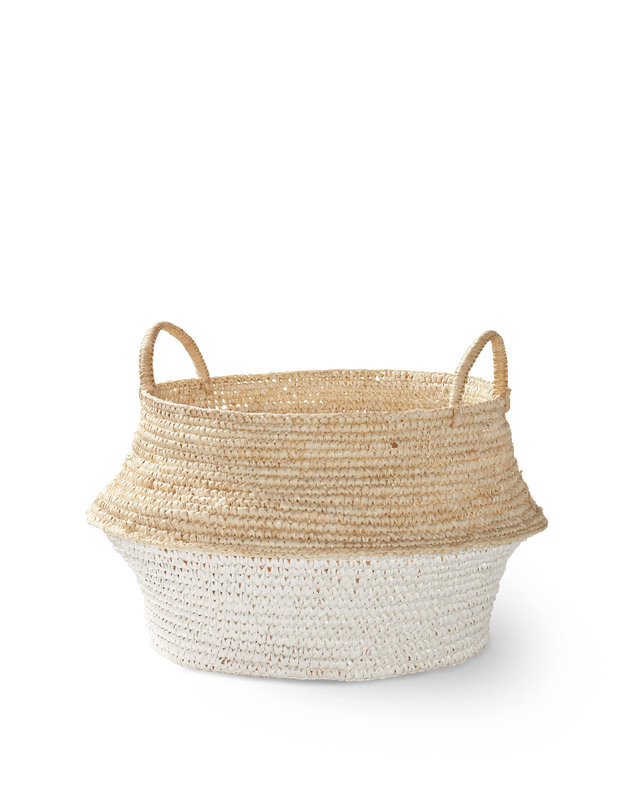 A mix of materials – seagrass on top, and pliable plastic on the bottom – provide interesting visual contrast. Small: 17.5"DIAM x 13"H overall. Large: 23"DIAM x 14"H overall.